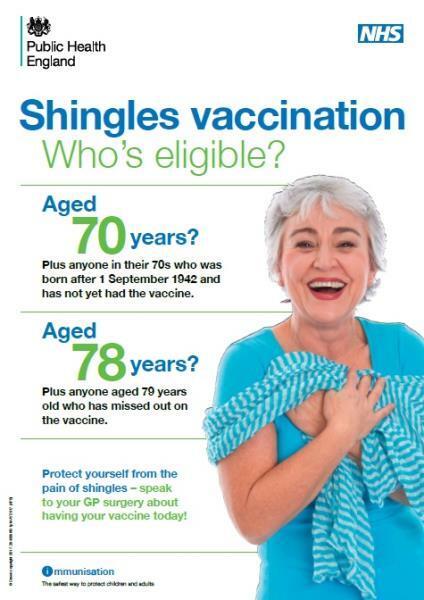 A vaccine to prevent shingles, a common, painful skin disease is available on the NHS to people in their 70s. The shingles vaccine is given as a single injection into the upper arm. Unlike the flu jab, you’ll only need to have the vaccination once and you can have it at any time of the year.